I just found a TV program by EBS that is called ‘Umma TV’ (mom TV) last night. Moms become directors so they produce a documentary about certain topics. I have to watch each episode first then I will discuss about this tv program asap. I am so glad that moms actually ‘produce’ documentaries with their own views. Yes this is very good movement for our moms and ajummas! Posted on 20 Apr 2016 20 Apr 2016 by moon ajummaPosted in 스마트 아줌마 (한국어), Smart Ajumma (English)Tagged ajumma, documentary, EBS, 아줌마, 한국, 엄마티비, Korean women. Previous Previous post: Any apps especially for ajummas? 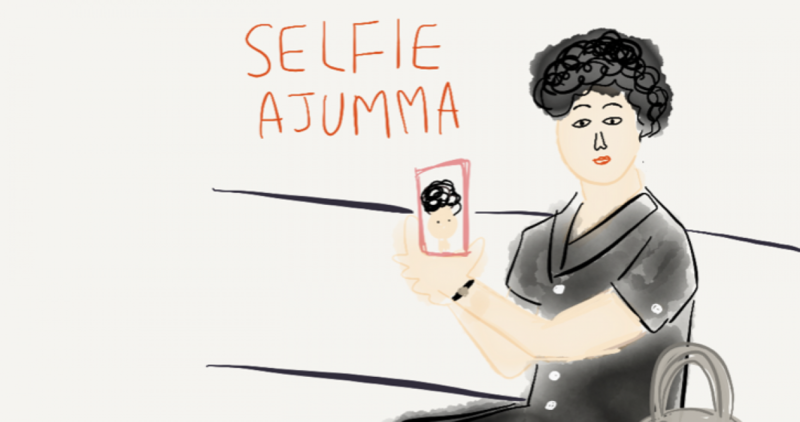 Next Next post: Ajumma, how much is it?